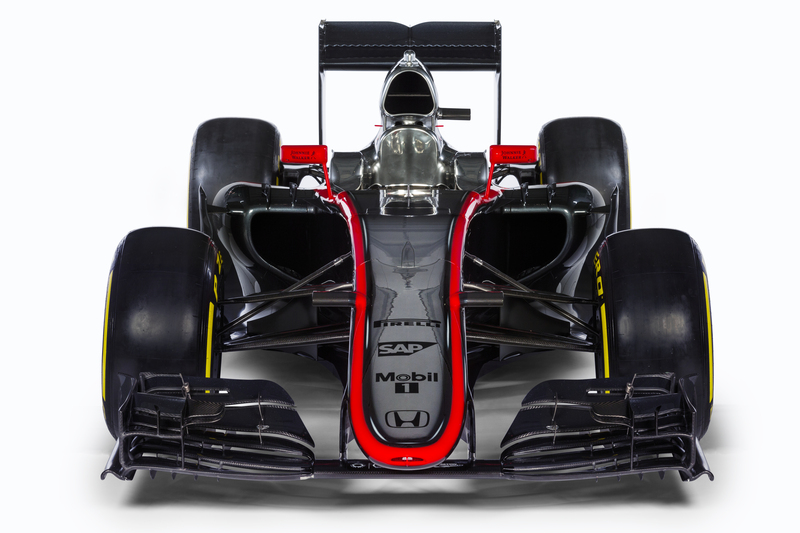 After the brief winter break, Formula One teams began unveiling their 2015 machines last week. However unlike last year, when a brand new set of technical regulations made sure attentions were focused with each new machine, this year’s cars – with their technical evolutions, as opposed to revolutions – have commanded fewer column inches or digital space. When the talk is more of the car’s collective liveries than the technology that powers them, one can be assured that little has changed on the outer design point – that will be noticeable to the general public. There is one exception, of course, and that is McLaren for when testing commences this weekend at Jerez, it marks the first time since the end of the 1992 season that Woking team will publicly run a Honda. The Japanese firm’s alliance with McLaren certainly evokes memories of one of motorsport’s great partnerships. For five seasons from 1988, McLaren took secured three titles thanks to Ayrton Senna and Alain Prost. It was a stunning period for Formula One that saw it reach new heights of worldwide popularity and tension, as fans and commentators alike lined up to take sides, as the bitter feud spilled out beyond the boundaries of the track. But that was then and this is now and McLaren are not the team of they were in the late 80s when Prost and Senna swept all away. The McLaren team of recent years has been prone to competitive struggles and internal wrangling that eventually saw Ron Dennis retake the top seat from Martin Whitmarsh at the beginning of last year. Their last driver’s title came courtesy of Lewis Hamilton back in 2008, while their last Constructors’ title was as far back as 1998. The drought has been unforgiving. With the rise of Red Bull and later Mercedes (née former champions Brawn), McLaren have tumbled down the order, spending too much time battling in the midfield with the likes of Force India. Their 2014 record does not bear the kind of results that might catch the eye of interested parties. Two podiums (in the opening Grand Prix – one of which coming following a penalty for a rival) and a distant 5th in the Constructors’ Championship is hardly the form that will get large corporate bodies throwing their money at a team – especially in the current static economic climate. Of course, this is hardly the first time that McLaren have experienced lingering difficulties. Following their split with Honda, the team went through several barren years with Ford and Peugeot power, before signing up with Mercedes in the mid-90s and even then, it was not until 1997 – after over four seasons without success – that they finally saw the top step of the podium again. Yet times have changed significantly since the mid-90s. The cigarette money has long since disappeared (for all, except Ferrari) and sponsorship opportunities with alcohol brands are being tightened up. 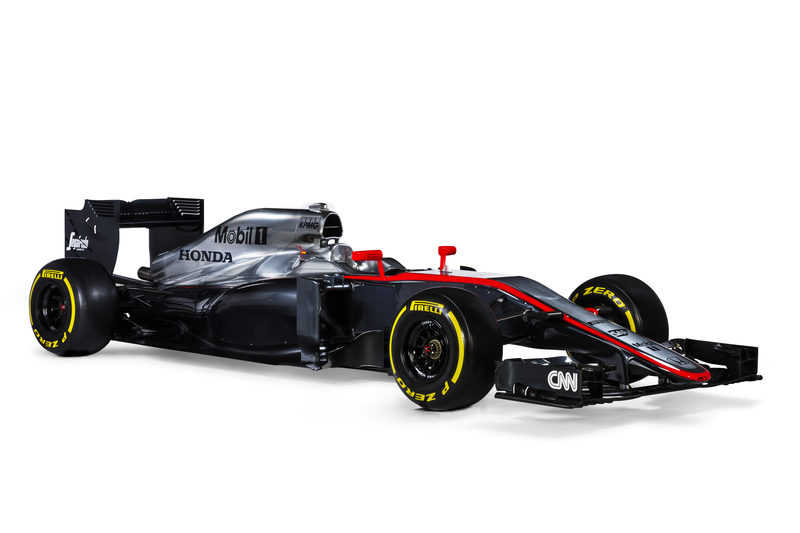 From images released on Thursday, this new McLaren displays a significant amount of empty space on its livery. It is a touch worrisome that such a famous name are struggling to find a title sponsor, but attaching the failure to do so purely to results may also be a touch wide of the mark. While claims that Formula One is a failing sport with toxic leadership that appear to specialise in creating publicity disasters rings partially true, McLaren must also shoulder the blame for offering a rate card that simply does not match what has been delivered of late. Despite their proud stature, McLaren have not been a truly top team in quite some time – and that is something that is beginning to hurt on commercial side. The team have been in search of a title sponsor since Vodafone departed at the end of 2013 and of all the talk that the arrival of a big name was imminent, none have signed on the dotted line. Instead, portions of last season saw the Woking team switch between their more prominent sponsors on a race-by-race basis, depending on territories, etc., but while that practice is common in American motorsport, it has not been a sight common amongst the top-end of the Formula One paddock in quite some time. With the return of Fernando Alonso, to partner team veteran Jenson Button, McLaren certainly have the talent behind the wheel to get the job done, but they also must be prepared to accept that success may not come quickly with Honda. Forget the exploratory post-season tests in a rejigged car that was originally designed to take the Mercedes unit – one would be foolish to judge future performance on the basis of such a Frankenstein machine. When the MP4-30 finally begins running regularly in testing, we may only then begin to glimpse where McLaren truly sit in the Formula One class. But for those who are expecting an instant return to the days of Prost and Senna, prepare for disappointment. Such success rarely comes so quickly or easily – especially when your rivals have already enjoyed a year’s head start. McLaren MP4-30. © McLaren-Honda Formula 1 team.